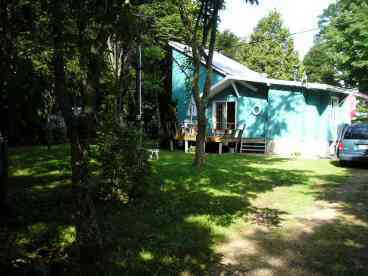 Search 1 Manitoulin Island vacation rental lakefront homes and mountain condos and cabins in Manitoulin Island, Ontario. 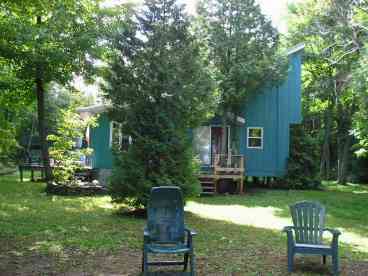 2 bedroom fully-equipped lakefront housekeeping cottage directly on Lake Kagawong on Manitoulin Island. 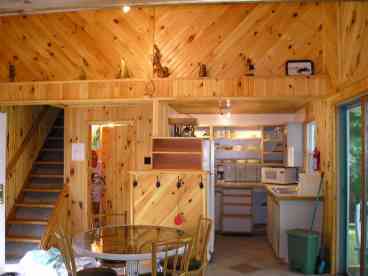 The interior is tongue and groove pine and has a ceramic tile floor for that cottage-y feeling. Lake Kagawong is about 40 square miles with excellent fishing and swimming. 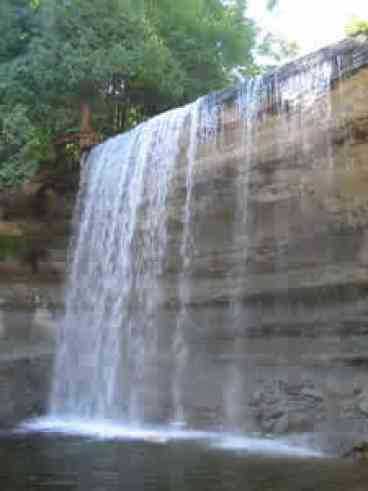 Manitoulin Island is known for its slow pace of life although there are a lot of things to do while on vacation here - swimming, fishing, biking, great hiking trails, or just relaxing in our very quiet area. The cottage has satellite TV, BBQ, microwave and a canoe.